Our large selection of vacation rental properties throughout beautiful Lake of the Ozarks will ensure that you find your perfect Lake of the Ozarks lodging. Whether you are searching for a home on the water's edge with its own private dock or a cabin tucked away in the hills with sprawling views, we have just what you are looking for! Additionally, all rentals come complete with a variety of amenities and features to make your trip that much more enjoyable; with the option for ad ons too! From all linens to the basics for the kitchen, we've got you covered. So, what are you waiting for, browse vacation rentals in Lake Ozark, Osage Beach, Gravois Mills & more! 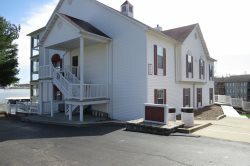 Contact our office for assistance finding a Lake Ozarks lodging option that suits your exact needs.